LINESTAR sliding gate operator by MOTOSTAR has been designed to meet your expectations on safety and comfort for a daily use of your electric sliding gate. This sliding gate operators operates on gates up to 400 kg, ideally for residential settings. The LINESTAR includes the latest state-of-the-art 24 V gear motor adapted for an intensive daily use. It will support several running cycles for a multiple opening and closing of your gate during the day. The 24 V gear motor is able to detect power failures in your neighbourhood and will automatically activate the backup battery (optional). Incorporated electronic circuit board in the control panel. LED light integrated in circuit board for an easy diagnosis of the state of the electronics in your gate operator. Easy installation with 1 single cable up to 3 devices. The sliding gate operator LINESTAR has a slim and discreet design on your entrance sliding gate. A modern and refined gate operator for an efficient daily use. 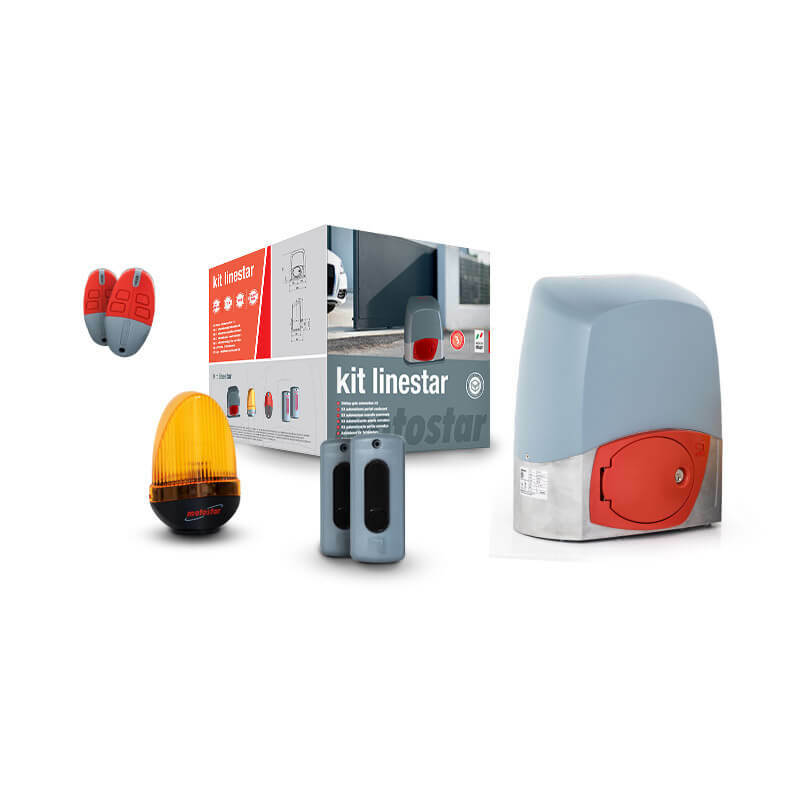 The LINESTAR comes as a complete kit. Your sliding gate operator is supplied with all the necessary accessories, ready to be installed, easy mounting and quick start menu. MOTOSTAR™ offer a complete range of driveway gate, garage door and roller shutter automation, gate remote, access control equipment and many other accessories. Being a manufacturer of state-of-the-art gate and door automation systems, it’s our aim to improve security and comfort of residential and commercial users with innovative and reliable products.